"What would be the best way to protect our grease fittings from environmental contaminants? We have a lot of dirt and dust at our facility, which causes frequent equipment problems. Do you have any advice for how we can prevent these types of contaminants from entering our bearings?" Solid contaminant ingression in bearings is often an uphill battle for many industrial facilities. These particles normally enter through seals or grease fittings. 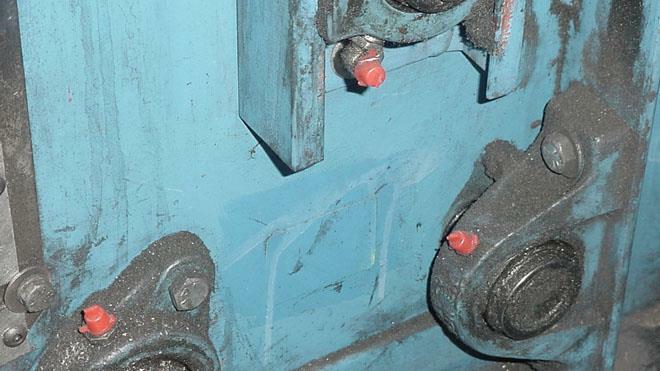 When the fittings are not maintained, the likelihood of particles entering through these openings can increase exponentially. There are a couple of different strategies that can be used to help protect your grease fittings between relubrication activities. The first option would be to install plastic dust caps on the fittings. These caps are relatively inexpensive, but they may have a short life expectancy depending on the service environment. Exposure to sunlight and washdowns or being located in heavy traffic areas can reduce their life expectancy. Because of this, all dust caps should be inspected frequently to ensure that they have not been compromised or are unable to properly protect the grease fittings. Most dust caps can be purchased in a variety of colors and shapes, which allows them to be employed for multiple purposes. Not only can they be used to help prevent particle ingression, but the different colors can identify which grease to apply or indicate the frequency for how often a grease point should be relubricated. Another alternative would be to cover the fitting with a small dollop of grease after each relubrication event. This dollop can serve as a barrier between the outside environment and the inner workings of the bearing. If this method is chosen, it will be critical to ensure that the dollop of grease is wiped off before regreasing the bearing. Failure to do so will push all the contaminants that have collected on the dollop into the bearing. Regardless of the method you choose, it will be important to inspect your grease fittings before every relubrication. Most fittings are equipped with a spring-loaded BB inside to help keep out contaminants. This spring can wear out or seize over time, thus allowing contaminants in or preventing grease from entering the bearing. Finally, always keep in mind that once a grease fitting has been determined to be compromised, it should be replaced as soon as possible.